Digitization has revolutionized the whole publishing industry. Readers have become accustomed to reading via digital platforms and now they enjoy it more than that of traditional printed books. There are several formats in which electronic versions are made available. Today let us see various digital formats for fixed layouts. It is the industry standard format. The fonts and layout may be completely preserved. There are many desktop based PDF renderers that are free and pervasive; they assure apex quality as well. PDF rendering based on devices is not that reliable and issues in regard of performance, quality of output, utilization of memory, interactivity and ease of access may be encountered. PDFs stay fixed rather than reflowing and hence are letter boxed for making them displayed within any available screen size; also when zoomed they should be panned. When it comes to the downsides, PDFs are large in size which makes its transfer difficult. They consume a large part of processor power for rendering. Also the font information is embedded in such a way that is almost impossible to safeguard with DRM. That is the reason why most of the companies offering PDF conversion services shun away from using PDFs. 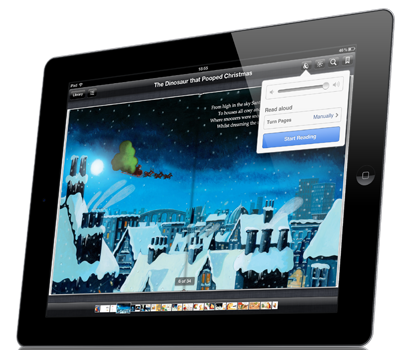 You can take the picture of every page and using that series of snaps, create an eBook. This is quiet an easy task and also such books look great. The issue here is that making such books accessible and searchable demands enormous investment of time and effort. The different image replica formats have extra functionalities towards the top of an image-centered core that enables navigation, searching and complementary text-only views etc. Unfortunately even the most expert companies have no standard ways of making these things happen. This is another format, which allows almost a perfect content encoding, single spine item for each page using mainly SVG, images, HTML or a combination of the said. A shared manifestation is created by using images having perfectly placed text-box overlays. This enables zooming to immense depth with the text getting rendered perfectly. But the images in due course get pixelated with an exception of SVG. EPUB adaptive layout is an effort in progress and this is anticipated to avail a perfect balance between the fixed layout and re-flowable content. But there is no chance of it replacing this format as EPUB Adaptive Layout depends on the reading systems for being executed properly. Stay tuned with us; we value your time.